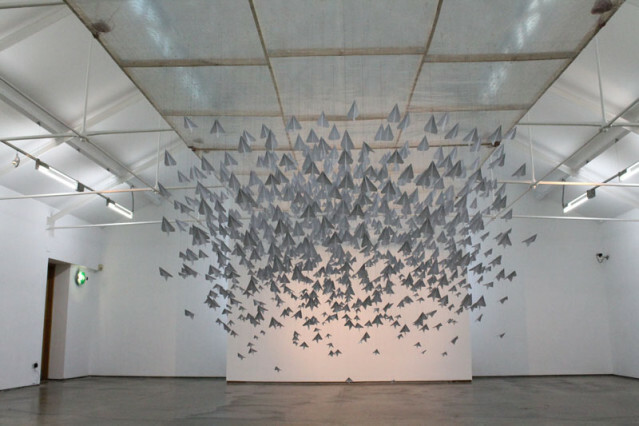 This work was initially created as part of the Pilotenküche residency in Leipzig, Germany. 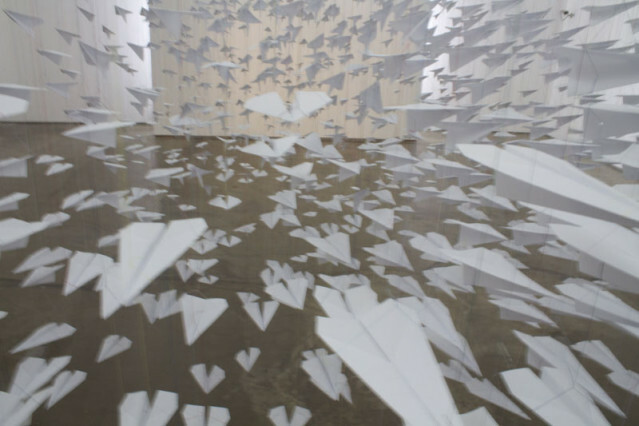 In an effort to explore how much I could do with one 500-sheet ream of paper, I cut each sheet in half and folded it into a paper airplane. 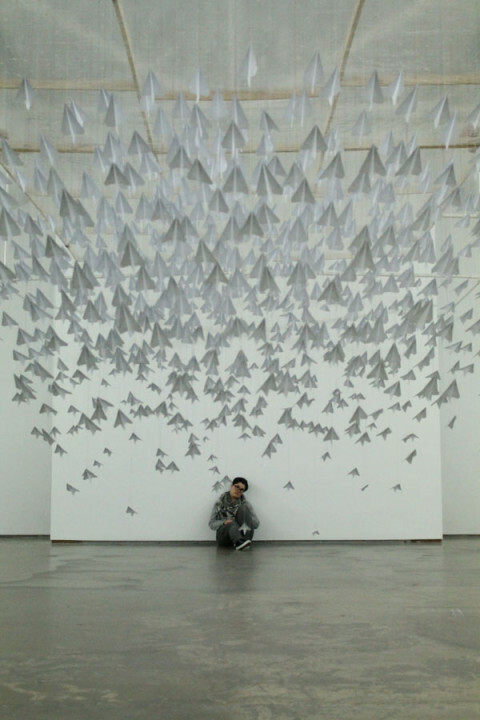 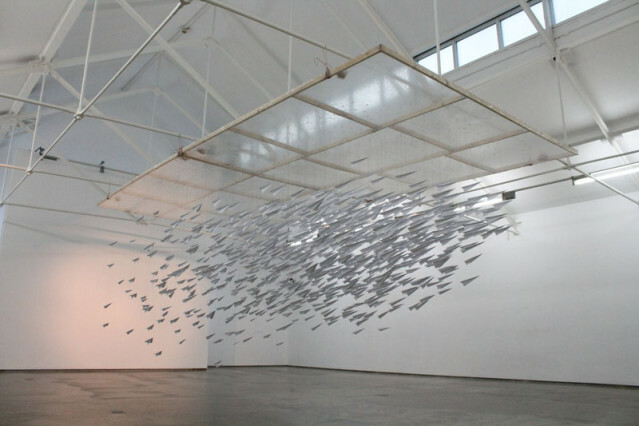 I then installed the thousand airplanes, hanging from the ceiling, as if they were flying towards a door like a flock of birds. 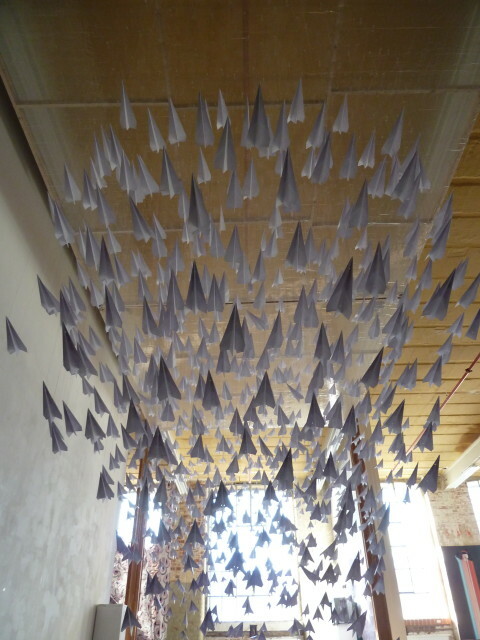 I have been extremely fortunate to be invited to install One Thousand Means of Escape in various locations. 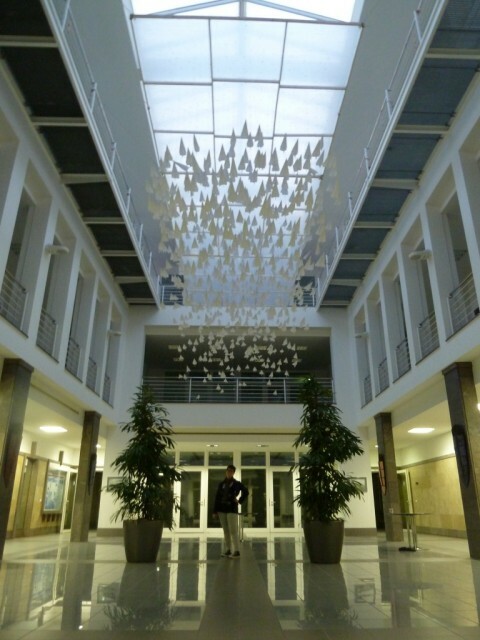 Each project has its own challenges and personality, and the piece is re-engineered each time to hang as part of the existing architecture.